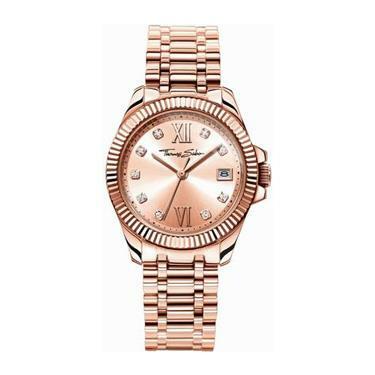 This vintage inspired watch is fashioned in Rose-Gold coloured, Stainless Steel. The 33mm dial, has sparkling cubic zirconia stones in place of numbers and a date display. The watch fastens with a butterfly clasp and the strap can be adjusted.